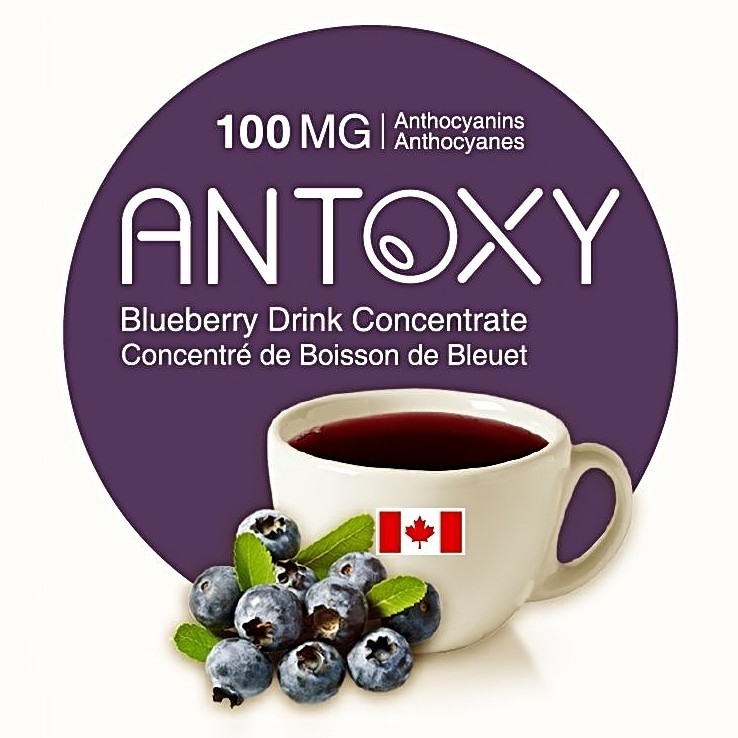 ANTOXY (Canada) is a Blueberry Drink Concentrate, produced from 100% Natural Blueberries from British Columbia, Canada. These dietary supplements are manufactured in Canada under GMP standard. Blueberry is one of the most popular fruits in North America and rich in anthocyanins. And Anthocyanins are amazingly powerful antioxidants and are associated with many amazing effects on the human body such as improve Visual Acuity, control Blood Sugar, improve Brain Function, reduce risk of developing Cardiovascular Diseases and more. According to health researches, one should eat 100-200 grams of Blueberries daily. And each 10ml packet of ANTOXY consists of at least 100mg of anthocyanins, which correspond to 125 grams of Blueberries. The product range is now available online at LOTUSmart.com.